From this page you can invite members to your timetotrade club account, set member profile and access rights and input member joining / leaving history. 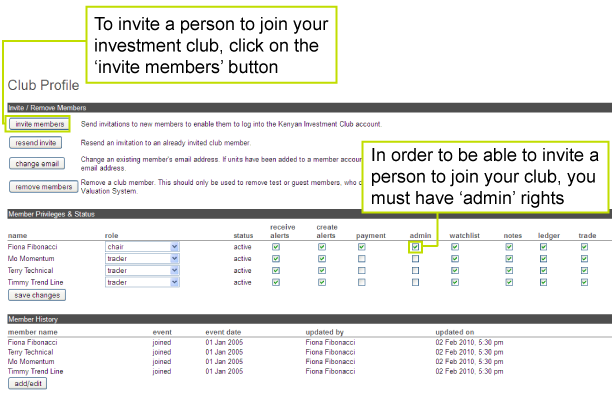 To invite a club member to your timetotrade investment club account, click on the "invite members" button as illustrated in the next screen shot. When you press the "send invite" button the club member will be sent an invitation email.